HAGERSTOWN, Md. 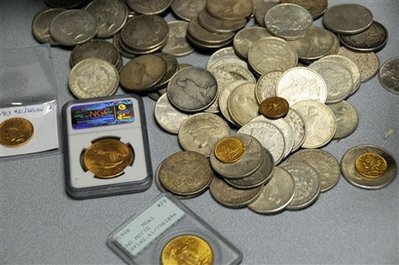 – A woman quietly left $40,000 worth of rare U.S. coins near a Catholic shrine for safekeeping so the Virgin Mary could watch over her life savings while she was out of town, and apparently it worked: The money was returned to her when she got back a week later. 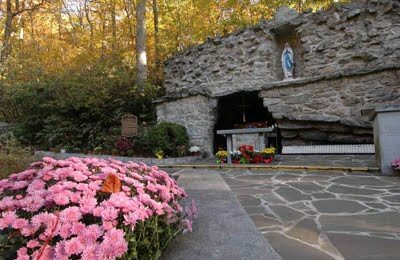 Operators of the National Shrine Grotto of Our Lady of Lourdes near Emmitsburg thought they had been blessed with a big donation when a groundskeeper found the two plastic freezer bags filled with gold and silver while raking leaves. But Shrine Director William Tronolone said the woman approached him after a noon Mass Sunday, six days after the discovery, to ask whether anyone had found some coins she had hidden beneath fallen leaves at the site on the campus of Mount St. Mary's University. "I said, 'Why did you leave it there?' And she said, 'Well, I had to go away and I was afraid to leave it and I wanted the Blessed Mother to watch over it for me — and evidently she did because you found it,'" Tronolone said. By then, university officials had had the coins appraised, notified police and placed the money in a safe while awaiting word from investigators. Tronolone refused to identify the woman. He said she had been out of town about a week. After the school's security director returned the coins Monday, he accompanied the woman to her bank and persuaded her to put them in her safe deposit box, Tronolone said. The operational and financial characteristics of MBS purchases are significantly more complicated than those associated with the assets that have traditionally been purchased by the Federal Reserve. The Federal Reserve has chosen external investment managers as a means of implementing the MBS program quickly and efficiently while at the same time minimizing operational and financial risks. Because of the size and complexity of the agency MBS program, a competitive request for proposal (RFP) process was employed to select four investment managers and a custodian. The selection criteria were based on the institutions' operational capacity, size, overall experience in the MBS market and a competitive fee structure. Investment managers will largely employ a passive buy and hold investment strategy in accordance with investment guidelines prescribed by the Federal Reserve. Is it any wonder coins like this sold for $1.3 million, and the Lady of Lourdes watches over someone's life savings instead of the banks? Today's coin market is largely defined by high-end investors grabbing the rarest of coins that infrequently come up for sale; gold bugs snapping up gold coins; and speculators bidding up prices for coins whose grades they suspect are too low, in the hopes of securing a higher grade and selling them for more money. "This is my way of diversifying away from stocks and bonds and the U.S. dollar," he says. 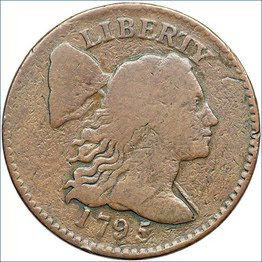 In recent years Mr. Beckwitt has snapped up some of the finest examples of coins available, such as the highest-graded 1796 quarter, the first ever minted. Over the summer he grabbed for an undisclosed sum the finest-known 1797 half-dollar. "It wasn't cheap," he says. "But I love the history of these early coins." Before the economic crisis, the coin market was defined by rapidly rising prices for all manner of coins and widespread demand from seasoned collectors, casual hobbyists and investors. Now, casual hobbyists and low-end collectors are largely sitting on the sidelines, victims of the economy. Maybe they should have another alphabet soup program for their lexicon. I ran out of patience and jumped in gold at the peak yesterday and now its pulled back. How high and how fast do u think gold will continue to move?